At home or on the job site, Husky tool bags are the toughest, most reliable soft sided tool bags available. Carry your tools with certainty and confidence. 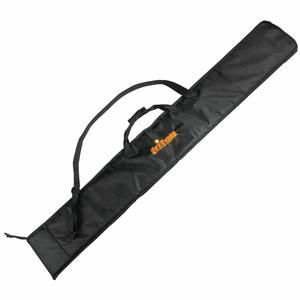 Lincoln Electric Camo industrial Wedler's duffle bag. Features lots of storage space (24" x 12" x 12"), along with a 4" carabiner and multiple storage pockets. Industrial quality upgrades includes double-stitching, heavy-duty zippers, and reinforced inner panelling. This Lincoln Electric product has been developed exclusively for the Canadian market. The Milwaukee 24 inch Hardtop Rolling Bag was designed with professional tradesman in mind and built to be the most durable and provide the most versatility of any rolling bag in the industry. Featuring a Hardtop lid, 6 inch All-Terrain metal rimmed wheels and the industry's strongest extension handle, the 24 inch Hardtop Rolling bag is designed to carry loads up to 250 lbs. and easily navigate jobsite terrainch All metal skid plates and 1680D ballistic material construction further enhance the durability and a fold down front panel helps to keep hand tools and accessories organized and easily accessible. This classic Patio Armor furniture covers are designed to keep your outdoor patio furniture looking great. Made from high grade polyester, our patio furniture covers resist cracking; fading, tearing, and mould build up. The underside is coated with PVC for increased water resistance and further protection from the elements. Designed for style, the cover is a traditional taupe colour with an elegant olive trim. You can be confident that your patio furniture is secure through the seasons. You've invested a lot in your patio furniture and you should protect it with the best.